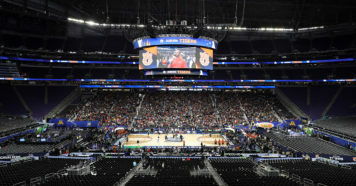 Stadium College Basketball Insider Jeff Goodman releases his college basketball preseason top 25 rankings, complete with analysis and roster overviews for all 25 teams. These are the 25 teams you should be watching when the season tips off in November. John Calipari will do it yet again: deal with the turnover. But this time it’s a little different, as the majority of the defections are those who were underwhelming in their careers in Lexington. He’ll feel the losses of Knox and Gilgeous-Alexander, but he’ll have multiple options at the point and up front. We’ll start with the point, where Green stuck around despite the addition of a pair of heralded frosh: Immanuel Quickley and Ashton Hagans (who reclassified and committed late). PJ Washington and Nick Richards both return. They will be joined by EJ Montgomery and Reid Travis, a grad transfer who could be the difference-maker for the ‘Cats due to his experience and toughness. There are options on the wing for Calipari as well with a pair of freshmen: Keldon Johnson and Tyler Herro. UK should also benefit from its preseason trip (and the added 10 practices) to the Bahamas. Kansas loses three starters — it would have been four if LaGerald Vick hadn’t returned after declaring for the NBA Draft. Still, they should be better this year. Bill Self brings in a talented recruiting class led by guards Quentin Grimes and Devon Dotson and will also add a trio of transfers, headlined by ex-Memphis forward Dedric Lawson, who averaged 19.2 points and 9.9 boards two years ago for the Tigers. Look for Lawson and Grimes to share the spotlight this year, but the Jayhawks biggest strength may come in numbers. There’s Udoka Azubuike, Silvio De Sousa and David McCormack in the post and no shortage of guys on the wing with Grimes, K.J. Lawson, Marcus Garrett, and Dedric Lawson and Mitch Lightfoot at the four. The only major question may be at the point, where Dotson will battle with Charlie Moore for the starting duties. The ‘Zags are loaded. Again. I’m not sure who the go-to guy will be, but Mark Few has options. The frontcourt should be dominant with Killian Tillie, Rui Hachimura and the addition of Brandon Clarke, who put up 17.5 PPG at San Jose State two years ago and may be more athletic than Rui. The backcourt features a vet in Josh Perkins and also Zach Norvell, who is coming off a strong campaign. Corey Kispert will likely come off the bench, but could start for most other college basketball programs. Yes, we all remember what happened to Bennett and the Cavs last March when they made history as the first No. 1 seed to bow out to a No. 16 in the NCAA Tournament. But that overshadowed an incredible regular season in which Virginia went 31-3 and lost just one game in the entire ACC slate. The backcourt of Kyle Guy and Ty Jerome returns, and De’Andre Hunter (who didn’t play in the loss to UMBC) is also back. After that trio, there are certainly some question marks in Charlottesville — but we’ve learned to trust Bennett (who has a 73-17 ACC mark in the last five years, compared to Coach K and Roy Williams’ 63-27 record in that span). No one could have ever imagined that Eric Mussleman would have the Wolf Pack earning a top-10 spot in preseason top-25 rankings after just three years in Reno. However, he’s done it — with transfers. There are nine players on the roster who have transferred into the program, including the Martin Twins (Caleb and Cody) and Jordan Caroline, who came from Southern Illinois. That trio makes Nevada the clear-cut favorites in the Mountain West and also a viable Final Four contender. Musselman will also add four guys who sat last season after transferring up a level, and two talented forwards in heralded McDonald’s All-American Jordan Brown and Old Dominion grad transfer Trey Porter. 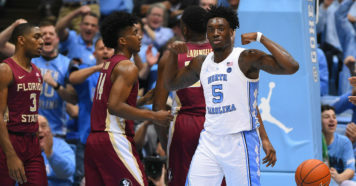 I love the forward duo of Luke Maye and the ultra-talented Nassir Little, but the question marks around UNC revolve around point guard play. Not that Joel Berry was a guy who consistently gave his teammates easy looks, but he was a proven winner who played with poise and could get a bucket when needed. Coby White is a talented freshman, and like Berry, he’s far more scorer than distributor. The good news is he’ll have talent around him with Maye, Little, Kenny Williams and Cameron Johnson. I’d also expect one of the young big men to take a jump this season out of Sterling Manley, Garrison Brooks and Brandon Huffman. Jay Wright and the Wildcats are justified with a rebuilding season after winning their second national title in three years. Four of their top six players left early for the NBA, but ‘Nova should remain the favorites in the Big East with Eric Paschall and Phil Booth back in addition to a strong incoming group that includes a trio of Top 50 recruits and Albany grad transfer Joe Cremo. Look for Collin Gillipsie to step into the starting lineup, and don’t be surprised if Jermaine Samuels and Dylan Painter both emerge as valuable contributors. Will Villanova be what it’s been the last few years? Probably not, but the Wildcats could be a Final Four contender with their coaching, talent and culture. The Vols were a major surprise a year ago, and Rick Barnes brings back just about everyone of note from a team that won 26 games. Grant Williams is the returning SEC Player of the Year and an All-American candidate, and Admiral Schofield gives Tennessee another upperclassman who has produced on a consistent basis. The backcourt features Jordan Bowden, Jordan Bone and Lamonte’ Turner coming off the bench. The question is whether the Vols can do it again… without sneaking up on anyone. Bruce Pearl was fighting for his job off the court last season, but he earned an extension with what he did on the court. The Tigers came out of nowhere, despite two top frontcourt guys being deemed ineligible, and claimed a share of the SEC crown. There were a few key losses — Mustapha Heron, Desean Murray and Davion Mitchell all transferred — but Austin Wiley and Danjel Purifoy are eligible this season and VCU transfer Samir Doughty is also available after sitting out. The Tigers will be more traditional in their look this season, but like Tennessee, it’ll be interesting to see how they respond to being the hunted. Tom Izzo lost two lottery picks, so there won’t be nearly as much star power in East Lansing this season. But the Spartans will have one of college basketball’s top point guards in Cassius Winston and also one of the most talented big men in the country in Nick Ward. Josh Langford will need to become more consistent overall and Matt McQuaid will need to become more consistent with his perimeter shot. Xavier Tillman and Kenny Goins give Michigan State enough up front and someone should emerge from a five-man freshman class. Bruce Weber and the Wildcats return all five starters from last year’s Elite Eight team. Dean Wade and Barry Brown are K-State’s top players, but the beauty of this team is they have different guys who can hurt you. Remember, Wade wasn’t healthy for the NCAA tourney run a year ago, but this team showed a togetherness and a toughness that made the Wildcats a tough out. 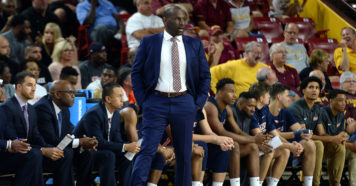 Buzz Williams brings back four starters in addition to one of the top sixth-men in college basketball in Chris Clarke. Justin Robinson is one of the ACC’s most underrated players, Nickeil Alexander-Walker should make a jump after a solid freshman campaign and Kerry Blackshear was plenty effective for the Hokies up front. Williams doesn’t have a ton of size, but his guys consistently play hard and have more talent than people give them credit for. Bob Huggins won’t have an easy time replacing Jevon Carter, but the Mountaineers continue to win at a high level no matter who departs. Sagaba Konate is arguably the best rim-protector in the country, Esa Ahmad could become an all-league guy this season and Lamont West has the tools to develop into one of the top forwards in the Big 12. West Virginia also adds a pair of Top 100 freshmen, so it’s just silly not to have Huggins in the conversation when it comes to the second tier of top teams — even without Carter. The ‘Cuse barely got into the NCAA tourney, but wound up upsetting TCU and Michigan State to earn a berth in the Sweet 16. Tyus Battle is back after flirting with the NBA Draft, and Oshae Brissett was terrific as a freshman last season. Franklin Howard is a senior point guard, Marek Dolezaj showed glimpses and Paschal Chukwu gives the Orange a long, shot-altering big in the middle of the zone. Add in talented guard Jalen Carey, ECU transfer Elijah Hughes and a shooter by the name of Buddy Boeheim (yep, he’s Jim’s son), and Syracuse should be able to contend for one of the top spots in the ACC. Call me crazy, but the Crimson Tide will be better this year — even without NBA lottery pick Collin Sexton. Sure, Avery Johnson won’t have an electrifying guard who can make a play on the offensive end at just about any point, but Alabama will be more of a team, move the ball and have balanced scoring. John Petty should emerge as the go-to scorer, Donta Hall has steadily improved every year and Herb Jones is versatile, defends and will improve on the offensive end. Dazon Ingram can play some point, but the duties could fall to a freshman: Jared Butler or late signee Kira Lewis. Oh yeah, the Tide also have the services of Texas transfer Tevin Mack, who averaged 14.8 points per game two years ago. Dana Altman and the Ducks lost plenty — a first-round pick in Troy Brown and a couple of veterans who transferred into the program — but Oregon brought in a loaded recruiting class. The Ducks also return a solid point guard in Payton Pritchard, a veteran in Paul White and a big-time frontcourt defender in Kenny Wooten. Bol Bol is the centerpiece of the freshman class, and he’s ultra-talented. But there’s also another McDonald’s All-American in Louis King and two more Top 100 players: Will Richardson and Miles Norris. It may take time, but I’ll bet on the combo of Altman and talent any day. Ben Howland hasn’t gone dancing thus far in Starkville, but that could change this year. The Weatherspoon brothers are back, so is virtually everyone else of note and Howland now has a veteran group that could be ready to take the next step. The Bulldogs have a nice balance with quality perimeter guys in addition to veteran size, and Howland also added a guy in Reggie Perry who should come in and help immediately. John Beilein lost a ton from last year’s team that lost to Villanova in the national championship game: Moe Wagner, Muhammad-Ali Abdur-Rahkman and Duncan Robinson were all key pieces. But Charles Matthews, Zavier Simpson and Isaiah Livers — all starters — are back. So are Jordan Poole and Jon Teske, so the Wolverines should be a legit top-25 team again as long as Beilein is roaming the sidelines. Archie Miller got his guy when he kept Romeo Langford in-state. The Hoosiers became nationally relevant that day as well. Langford is a prolific scorer and will team with Juwan Morgan to give the Hoosiers a couple of all-league guys. De’Ron Davis will help up front, but the key for IU will ultimately be point guard play. Ultimately, I’m betting on the duo of Miller and Langford. Steve Wojciechowski will miss Andrew Rowsey, but he’ll have no shortage of guys who can put the ball in the basket. Markus Howard and Sam Hauser are two of the top pure shooters in the country, and two other starters return from last year’s 21-win team in Sacar Anim and Matt Heldt. Wojo will add plenty — ex-Nebraska forward Ed Morrow is a potential double-double guy who sat out last season while Joseph Chartouny comes in via Fordham as a grad transfer and does a little bit of everything. Joey Hauser (Sam’s brother) is a top-50 player and Brendan Bailey is a former top-100 kid who comes in after serving a two-year Mormon mission. The Pac-12 is wide-open, and both UCLA and Arizona will be down. That means the Huskies — which return all five starters — should have a chance to earn one of the top spots in the league. Second-year head coach Mike Hopkins doesn’t just bring everyone of note back; he also adds a couple of top-100 frosh. Call me crazy, but I trust Brey and the Irish. They had been to the NCAA tourney seven consecutive seasons before last year, and it would have been eight if it weren’t for the injury to Bonzie Colson. Notre Dame will rely on T.J. Gibbs, Rex Pflueger and D.J. Harvey once he gets back to 100 percent. A key will be up front and how guys like Juwan Durham and talented freshman Nate Laszewski assimilate to the system in South Bend. Ok, I admit it. I’m a HUGE fan of Anthony Cowan — and that’s the primary reason why I have the Terps in the top 25 despite the loss of Huerter to the NBA. Cowan is one of the top point guards in the nation, and he’ll have weapons at his disposal. There’s the developing big man Bruno Fernando, a third starter back in Darryl Morsell and also a couple of top-40 recruits in Jalen Smith and Aaron Wiggins. Porter Moser, Sister Jean and the Ramblers were the Cinderella story from last March — and despite losing a couple of starters, these guys should be the class of the Missouri Valley again. Custer is one of the best floor leaders in the country, Townes is a returning double-digit scorer and both Krutwig and Williamson should make jumps as sophomores. Moser will need a couple of newcomers — there are five including New Mexico transfer Aher Uguak — to step up and fill roles.